If Portland authorities do not intervene in a major way, we could potentially see one of the largest street brawls in modern American history on Saturday. On June 30th, an extremely violent confrontation in Portland between Antifa thugs and conservative groups made headlines all over the world, and now both sides have been hyping this August 4th sequel as an even bigger event. Two conservative groups, Patriot Prayer and The Proud Boys, are claiming that they will have thousands of members in the heart of Portland for their scheduled rally, and they are very much encouraging people to bring guns. On the other side, Eugene Antifa, Rose City Antifa, RASH NW and the Pacific Northwest Anti-Fascist Workers Collective are hoping to bring thousands of their own members, and one organizer publicly stated that they “better bring our own guns too”. All it is going to take is for one person to get shot and killed for all hell to break loose. For the past week, Vancouver activist, provocateur and senate candidate Joey Gibson has been talking about guns — guns that his friends and supporters with the groups Patriot Prayer and the Proud Boys will likely bring to a self-described “Freedom Rally” in Portland on Saturday. “Everyone should be carrying around guns at all times, especially in our situation,” Gibson explained in a video, posted to Facebook June 30 to promote the event. There is certainly nothing wrong with a candidate holding a rally and encouraging his supporters to bring guns. It happens in other major cities all the time. And because of the violence that happened last time, conservatives are flying in from all over the country for this event. “We’ll have people locally showing up from Vancouver, Portland, Hillsboro, California. We have people flying in from Texas and the East Coast,” he said. If the left simply did not interfere with this rally, it wouldn’t even make national headlines. For its part, Rose City Antifa released a “hype video,” encouraging people to counter-protest Gibson’s rally. They also promised violence. “Rose City Antifa has continued their great work of doxxing the Portland area Proud Boys involved in this violence, and is also calling for militant antifascist resistance against Patriot Prayer,” reads the posting. Portland authorities could prevent this by showing up with overwhelming numbers of police and by completely keeping the two groups separated. 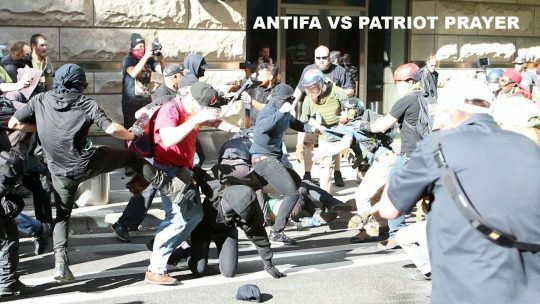 On June 30, as a faceoff between opposite ends of the political spectrum exploded into a street fight, enforcement in Portland, Oregon, jumped into action. The march, organized by Patriot Prayer, a far-right outfit with a history of sparking conflict, was met by anti-fascist – antifa – and other-counter protesters. As the clash escalated, the event was declared a riot. Officers in body armor tried to unknot the scuffles. Four people left the scene in ambulances, the Portland Police later said in a statement. Four others left in handcuffs. Ladies and Gentlemen we are in the midst of a war for the fundamental right to be an American. The constitution is under attack from the far left and its democratic leaders. This is only going to get worse from here. America has fundamentally changed; just as Barack Obama wanted. If you ask me, we are only a few more riot/protests away from the left and right clashing to the point of firearms being used. Once that is done, you will force the police to drastically change our approach. I don’t know how that will go but I was there in Ferguson, MO during the BLM riots and in Baltimore for the BLM riots. The police and National Guard will eventually be forced to put down the riots by force and that is not what we want nor need to happen. Let us pray for peace, because nobody should want to see more violence. And as I mentioned earlier, the authorities in Portland could stop the violence from happening. The police need to show up very early in massive numbers, and they need to do everything that they can to keep the two groups apart. Because if the two sides come face to face, there will be violence. Even though it has always been kind of crazy, at one time Portland, Oregon was quite an attractive place to live, but now those days are long gone. Today, the city streets are strewn with garbage, drug paraphernalia and human feces. 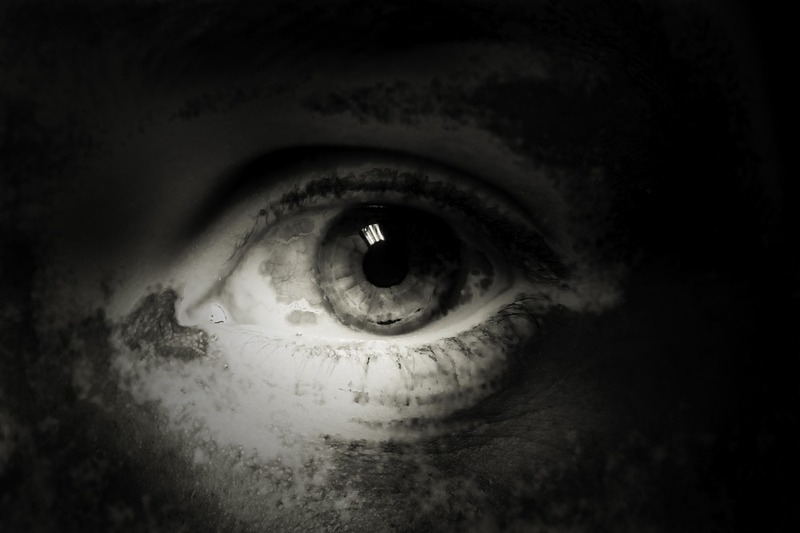 Mentally ill homeless people and drug addicts wander about like zombies, and there are certain areas of the city that you absolutely do not want to visit at night. In essence, the city is slowly becoming a post-apocalyptic version of its former self, and those that love the city are seething with frustration. Of course Portland is simply experiencing the same surge in homelessness that so many other west coast cities are struggling to deal with. As housing prices have risen dramatically, many on the lower end of the income scale have been priced out of the market entirely, and an increasing number of people are being forced to sleep in vehicles, in shelters or on the streets. If that sounds familiar, that is because many other west coast cities are dealing with the exact same issues right now. 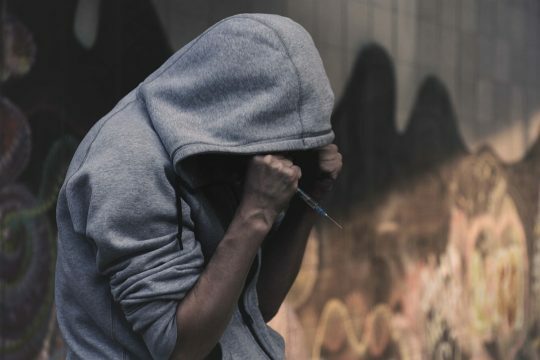 The streets of San Francisco are littered with a “dangerous mix of drug needles, garbage, and feces”, KNTV’s investigative team reported in February after surveying the city’s streets. And a lot of other San Francisco residents have noticed the exact same thing. In fact, during one recent seven day period 16,000 complaints were submitted to the city about human feces. Sounds like a great place to live, right? It is important to keep in mind that San Francisco supposedly has a “booming economy” and some of the highest real estate prices in the entire nation. If this is happening in a “prosperous area”, what are things like in major cities where things are not so prosperous? Down in L.A., there was a nearly 26 percent increase in homelessness in 2017, and overall homelessness in L.A. has risen 75 percent over the past 6 years. During this supposed “economy recovery”, our second largest city has seen homelessness go up 75 percent. While it’s tough to say precisely how many Californians are experiencing homelessness, the federal Housing and Urban Development Department estimates the number statewide at 130,000 on a given night. That’s 25 percent of the entire nation’s homeless population. Since 2016, California experienced a larger increase in homelessness than any other state. Most of its 2,000 residents sleep in tents or under tarps. Those with more status occupy the sides of streets shaded by trees. Location, location, location. The lowest caste sleep on cardboard or nothing. Some people rent tents for a few bucks a night. There are no liquor stores so businessmen buy alcohol from shops a few miles away and sell it at a steep mark-up. Loan sharks collect debts by taking control of the debit cards issued to homeless people by government agencies. A guy sits at a table on the sidewalk selling cigarettes and joints. The city has installed sidewalk restrooms. Ruffin pointed to one and figured people inside were shooting up or smoking. Meth, heroin and crack are the scourges of choice. Needles litter the gutter, as does a dead rat. On another block, homeless entrepreneurs chop and assemble bicycles for sale. In the nearby neighborhood of Wallingford, a newly erected outpost of small wooden shacks offer shelter for 22 of Seattle’s homeless residents. This is a “tiny house village,” sanctioned by the city as a kind of middle ground between living at a street address and on the street. The buildings sit in the corner of a parking lot across from a seafood restaurant, shielded from view by a metal fence. Each shack, painted with one of the bold colors of a Crayola starter pack, offers electricity and a roof sturdier than the tents in Seattle’s increasingly common homeless encampments. Every resident is issued a window fan for the occasional hot day, and the people here hope to receive heaters before winter. But the small collections of potted petunias and pothos that sit in front of their temporary homes are unlikely to survive the city’s harshest months. Unfortunately, this is probably only just the beginning of this crisis. Homelessness always explodes during a recession, and many believe that we are rapidly approaching another one. West coast cities are really struggling to deal with this crisis right now, and it is hard to imagine how they will deal with the tsunami of human suffering that is coming their way once economic conditions begin to sour. Just like during the last economic crisis, homeless encampments are popping up all over the nation as poverty grows at a very alarming rate. According to the Department of Housing and Urban Development, more than half a million people are homeless in America right now, but that figure is increasing by the day. And it isn’t just adults that we are talking about. It has been reported that that the number of homeless children in this country has risen by 60 percent since the last recession, and Poverty USA says that a total of 1.6 million children slept either in a homeless shelter or in some other form of emergency housing at some point last year. Yes, the stock market may have been experiencing a temporary boom for the last couple of years, but for those on the low end of the economic scale things have just continued to deteriorate. There have always been homeless people in Portland, but last summer Michelle Cardinal noticed a change outside her office doors. Almost overnight, it seemed, tents popped up in the park that runs like a green carpet past the offices of her national advertising business. She saw assaults, drug deals and prostitution. Every morning, she said, she cleaned human feces off the doorstep and picked up used needles. A group of homeless people in Elkhart has been asked to leave the place they call home. For the last time, residents of ‘Tent City’ packed up camp. City officials gave residents just over a month to vacate the wooded area; Wednesday being the last day to do so. The property has been on Mayor Tim Neese’s radar since he took office in January, calling it both a safety and health hazard to its residents and nearby pedestrian traffic. “This has been their home but you can’t live on public property,” said Mayor Tim Neese, Elkhart. If they can’t live on “public property”, where are they supposed to go? They certainly can’t live on somebody’s “private property”. This is the problem – people don’t want to deal with the human feces, the needles, the crime and the other problems that homeless people often bring with them. So the instinct is often to kick them out and send them away. Unfortunately, that doesn’t fix the problem. It just passes it on to someone else. As this new economic downturn continues to accelerate, our homelessness boom is going to spiral out of control. Pretty soon, there will be tent cities in virtually every community in America. In fact, there are people that are living comfortable middle class lifestyles right at this moment that will end up in tents. We saw this during the last economic crisis, and it will be even worse as this next one unfolds. Do you know one or two people who are looking for work? Maybe professionals, who you thought were safe in their jobs? Don’t look down on those that are living in tents, because the truth is that many “middle class Americans” will ultimately end up joining them. The correct response to those that are hurting is love and compassion. We all need help at some point in our lives, and I know that I am certainly grateful to those that have given me a helping hand at various points along my journey. Sadly, hearts are growing cold all over the nation, and the weather is only going to get colder over the months ahead. Let us pray for health and safety for the hundreds of thousands of Americans that will be sleeping in tents and on the streets this winter.